Regardless of what you’re doing or what activity your participating in, your safety should always come first. When out in water, you’re extremely vulnerable. There is a lot that can go wrong out of your control. This makes it important that you do everything you can to stay safe. Part of this involves having the right equipment so that you’re prepared for the worst-case scenarios. It doesn’t matter if you’re only planning on a short four-hour boat trip or camping on your boat for multiple days. You still want to have an emergency plan and have a boat emergency kit. Not only is this important for your own safety but it’s also important for all passengers on the boat. Don’t be irresponsible and put everyone’s life at risk just because you’re too lazy or trying to save a few bucks on an emergency kit. To pass legal inspections on a federal level you’ll need to have the appropriate equipment. This applies if you plan on boating in open seas in the United States. You may also have to acquire specific items to acquire permits. You could also be rewarded with lower insurance premiums. There’s not reason not to prepare yourself with a boat emergency kit. I’ve already done all the hard work for you and compressed it into this guide. This is the ultimate guide for creating an emergency kit for your boat. Not everyone’s emergency kit will be the same. Though, everyone’s emergency kit should begin with the essentials. I’ll explain exactly what these essential items are below. On top of the essential items which every kit needs, there will be additional items which will vary depending on your situation. You’ll want to add extra items based on the activities which you’ll be participating in. Firstly, I’ll begin with a list of the essential items which you WILL need. I’ll then explain what the law requires of you. At the very end I’ll recommend some items which I think will in handy and benefit you greatly. 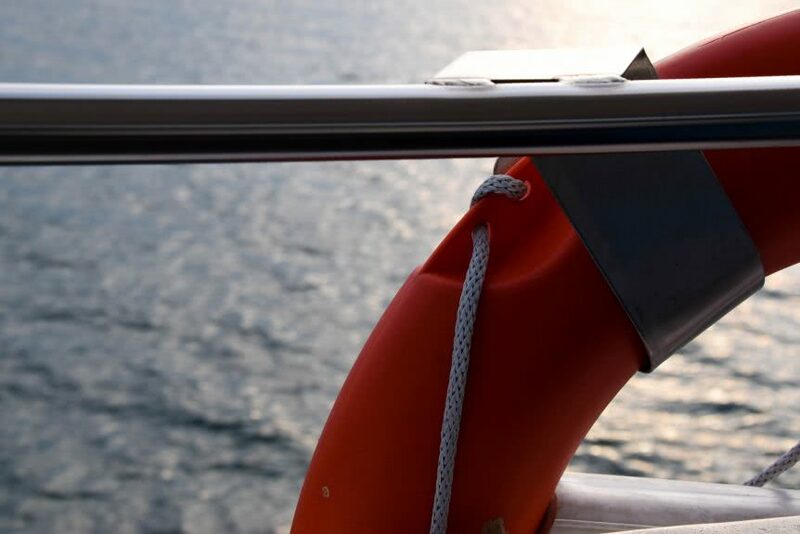 Overall, when you finish reading this article, you’ll know exactly how to create your boats emergency kit and understand the reasoning behind it. Water Filter: If you ever find yourself stranded out at sea or on an isolated bit of land then a water filter could potentially save your life. You can’t just drink water straight out of the sea or lake, the water could saltwater or could be contaminated with harmful bacteria. For cleaning saltwater you’ll need a desalinator. Reflective Tape: Reflective tape is an extremely useful item which you’ll need in your emergency kit. You can use the tape to on equipment which you always want to highlight and make visible. I’d recommend this Reflective Tape by TapeCase. Distress Flag: A distress flag is an item you cannot forget! This is a boating must. I’d recommend this Orange Distress Flag by Orion Safety. This is a USCG approved distress flag constructed from heavy duty vinyl. This is a standard item in everyone’s kit. Hull Plug: In case of emergency, it’s always a good idea to have a hull plug ready. This foam cone shaped plug is designed to accommodate to the unpredictable shapes in which a hull breach could appear in. It features gripping ribs which will help keep the plug-in place. If a hole is created in your boats hull, you simply shove this into the hole to seal it off. Buoys: A buoy is a floating device which can be deployed for assisting in the navigation of vessels. I’d recommend this Buoy by Polyform, though you could also use this Fender by Extreme Max. Bailer Kit: Every boat needs a bailer kit somewhere. Included in this kit is rope, float buoy, whistle and bailer. It’s important to keep your passengers safe and in good health. Keep a Marine First Aid Kit on board. First aid kits are important for dealing with injuries and accidents. This way you don’t have to purchase each individual item yourself. I’ll now recommend you a few items for your passenger first aid kit which don’t already come with it. Jellyfish Sting Relief Ointment: It’d be a good idea to bring some sting relief ointment incase someone suffers from a jellyfish sting. Urinating on a jellyfish sting is nothing more than a myth. In-fact, urine will only cause the sufferer even more pain. Urine will aggravate the jellyfish’s stingers and cause them to release more venom. Seasickness Tablets: You never know who’s seasick until they tell you, or you find out the tough way. Trust me, you don’t want to find out the hard way. When you have passengers throwing up and passing out, it makes for an extremely unpleasant trip. Instead, purchase a few Motion Sickness Relief Tablets. It is vital that you understand what the minimum federal equipment requirements are. These are items that you must have, though they don’t guarantee your safety alone. Quick Tip: The most common cause of boating fatalities is drowning. This is also the most preventable causes of fatalities. Because of this, the US Cost Guard urges all boat operators and passengers to wear a safety jacket. Every boat should have a life jacket for each passenger. Also, all boats 16 feet or longer (except for kayaks and canoes) should also have a throwable device. Whilst the boat is being operated, the life jackets should be worn; a life jacket only works if you’re wearing it. Any damage to the life jacket will affect its reliability therefore the life jackets should be in good condition. The jackets should also be an appropriate size for user. Here you can find a suitable adult type 2 life jacket. You should ensure that your life jacket fits comfortably. Try it on with all the straps on and ties fastened. See if you can move your arms around freely without the jacket moving about, it should stay stiffly in place. You’ll also want to test your jackets buoyancy. You can do this in a swimming pool or in shallow water with supervision. You can test it’s buoyancy by relaxing your body with your head tilted back, you should comfortably float on the water. If your chin sinks under water, then you’ll need to get a better fitting jacket. Keep Your Life Jacket Safe. It Will Keep You Safe. All vessels which operate in U.S coastal waters and territorial seas and connecting waters up to a point where waterway is less than two nautical miles wide, must carry a visual distress signal approved by the U.S coast guard. Recreational vessels less than 16 feet in length don’t have to carry day signals, however they must carry night signals. If your vessel is 16 feet or longer, then it must carry night signals AND day signals. I’d recommend this USCG compliant electrotonic SOS distress light. This functions as a day and night distress light. Due to it being electronic, it’s completely safe to operate and doesn’t pose any danger to passengers. It’s extremely effective, visible for up to 10 nautical miles. You can’t just use any old fire extinguisher laying around at home. You’re required to have marine-type fire extinguishers which have been U.S coast guard approved. There are different types of fire extinguishers for different types of boats. Each extinguisher has a number and letter symbol. Approved fire extinguishers will either be classified as B-I or B-II. They must also be hand-portable and have a mounting bracket. They don’t have to be by law, but they should be mounted somewhere where they can be easily accessed. It’s important that you carry out enough maintenance on your fire extinguishers to ensure that they will function correctly. There’s no point in having a fire extinguisher on board if it’s not going to help you in the case of an emergency. You should inspect your fire extinguishers every month to ensure that the tamper and seals indicator aren’t missing or broken. There shouldn’t be any physical defects present such as rust, physical damage and corrosion. Different sized boats are required to carry specific types of sound devices. Sound signals are required under specific circumstances such as in overtaking, meeting and crossing situations. 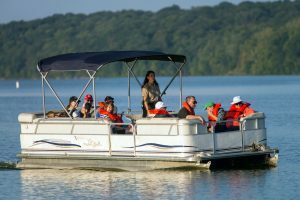 Recreational boats will should use sound signals when visibility is greatly reduced. Boats 12 meters or more require only a whistle. Boats 20 meters or more require a whistle and a bell. Boats 100 meters or more require a whistle, bell and a gong. If your recreational boat has toilet facilities, you are required to have an operable marine sanitation device. Boats under 65 feet can use a type I, II, or III. Whereas boats over 65 feet are required to have a type II or III marine sanitation device. Running out of fuel is a problem which can easily be prevented. Just like you should with your car, you should check your fuel levels before any journey. Ensuring that you have more than enough fuel to make your journey is important in preventing such a problem from occurring. It’s also important that you ensure your fuel gauge is working correctly. If your fuel gauge is faulty, it could provide you with a false reading and thus cause you to run out of fuel during your journey. It’s recommended that you don’t carry spare petrol as it can pose as a serious fire risk. Another factor which you should take into consideration before beginning your journey is weather conditions. Before you leave the dock, you should check the weather conditions and forecast to ensure that you don’t get caught out in a storm or harsh conditions. Preventing an issue from occurring at all is always easier and more effective than dealing with an issue that has or is already occurring.